This is our Chanel and she has Food Sensitivities! This is Chanel and we have been having some Food sensitivity issues. A number of months ago I took her to the doctor and had blood tests done and an ultra sound because she was complaining that she had tummy pain. All the tests came up clear, and the doctor said that because Caeliac didn’t come up in the blood test he didn’t believe she was Caeliac, but there had to be something in her diet causing this pain. She also has issues going to the bathroom so he suggested that we take her off Lactose. I didn’t realise how many foods had lactose in them, but we survived the suggested two weeks, but Chanel was still getting crippling pain in her stomach, and so we were told to continue the lactose free diet for another two weeks. We did this but Chanel was still feeling terrible and be doubled over in pain. A few weeks ago I had to go to Kawana Shopping Centre and while we were there we noticed this huge sign outside the Health Store with the words ‘FOOD SENSITIVITY TESTING’. Well, we took a bee line straight over to the store to see what this was all about. Even though financially it couldn’t have come at a worse time, I could have wasted money trying to fix the problem myself, but for $130 we could have a test that would tell us upfront what exactly was going on with Chanel. So I booked her in and last monday I took her out of school for the day to have this test. The test wasn’t a big deal – it wasn’t uncomfortable for Chanel at all. The test told us exactly what the problem areas were and what we need to avoid. Douglas is a professionally trained food sensitivity testing consultant. He is a guru with regard to dealing with food sensitivity issues. Lets just use the words AMAZING and ‘GO-TOO’ man. He doesn’t just tell you what the problem is, he shows you exactly how to treat it. So your probably wondering what the diagnosis is. 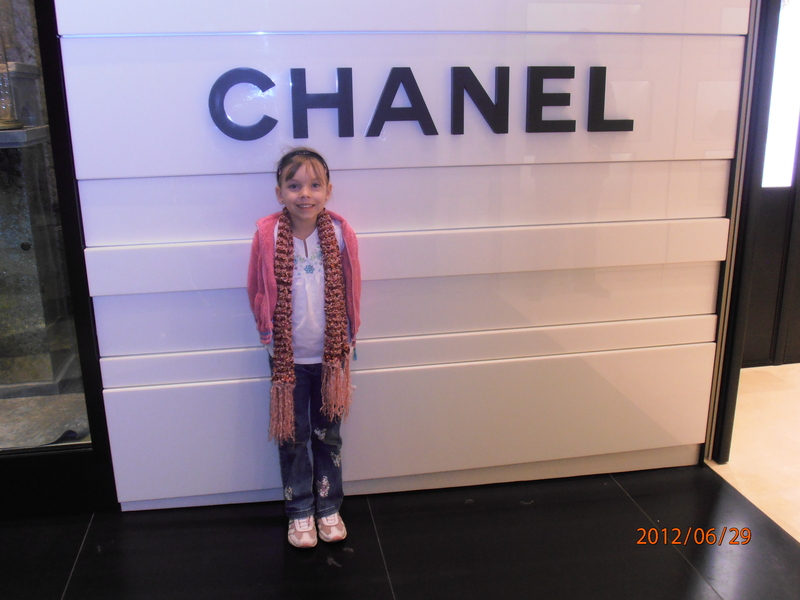 Chanel is sensitive to Lactose and Wheat, but she also has an issue with Candida. I know your probably thinking that Candida sounds like a dirty word, but I have recently learned that candida is in everyone…for the majority of us it lies dormant, but for some it flares up and things like sugar makes it grow and become a problem. Even anti-biotics seem to flare candida up. So the plan is to completely revolutionise what we eat. I personally think its great that we are forced to deal with our diet as it is so easy to get into a rut and eat the wrong things. Douglas gave me about 100 pieces of paper that I need to read and take on board. Its really hard, but the goal is to kill the candida and help Chanel feel better in herself. I do have to say that she has been so good throughout this whole ordeal. I will sign off now with regard to this post as the school pick up time is nearing and I need to do a few things before I go and get the kids. I have done a number of the things I had on my list, but many of them took much longer than I expected so I haven’t achieved all that I wanted to achieve today. ← Secret: I would love to live on the Gold Coast!